Peggy Lee had a way with the song that just made you want to shout "Oooh, Baby!" 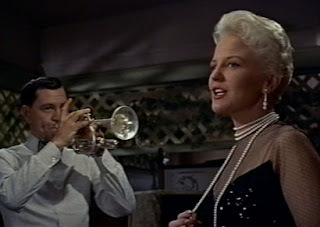 In between Frank Sinatra and Doris Day, she was another performer who had been a solo singer with a top big band and then went on to Hollywood movie stardom with an Oscar nomination for acting. Not only a brilliant song stylist, one who graduated from Benny Goodman's band, Peggy Lee was one of the most creative women in music. I enjoyed some of her work in a Hollywood classic Saturday night and, let me tell you, that chick was robbed. She got one Oscar nomination? She should have had another one that same year. Like Doris Day, she did movie work at Warner Brothers in the 1950s. Opposite Danny Thomas, she was the love interest in the first remake of The Jazz Singer, the film which started the sound revolution in 1927. She sang in Pete Kelly's Blues, a 1955 drama set in the mobster-ridden 1920s. It's not a great film but it really comes to life when she sings. Rose is the emotionally troubled jazz singer who drinks too much and gets slapped around by her hood boyfriend. When she sings, it's like velvet. Later, the booze and a breakdown send her to a sanitarium. 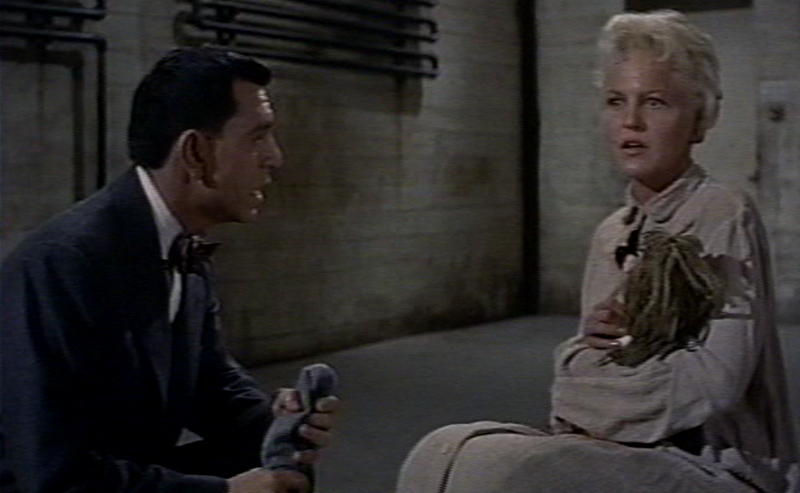 That dramatic scene with Jack Webb helped put Peggy Lee in the Oscar race for Best Supporting Actress. The winner was Jo Van Fleet for Elia Kazan's East of Eden starring James Dean. 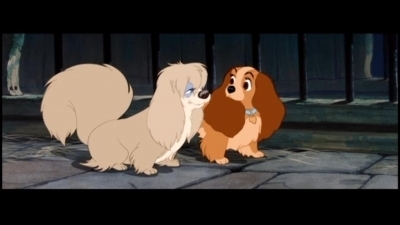 Another 1955 release was Walt Disney's animated feature, Lady and The Tramp. You know this wonderful Disney classic. It has one of the most famous kissing scenes in a Hollywood feature -- and it happens over a romantic Italian dinner for two. Two dogs. The dogs are serenaded with a beautiful song called "Bella Notte" ("This Is The Night"). This is a famous sequence in classic Disney animated features. The song adds to the deliciousness of the scene. 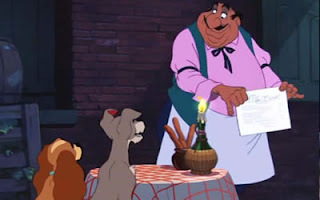 I wish I could have a romantic dinner date with "Bella Notte" playing in the background. That would be absolutely sublime. 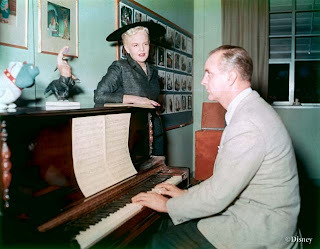 The original songs in Disney's Lady and The Tramp were composed by Peggy Lee and Sonny Burke. 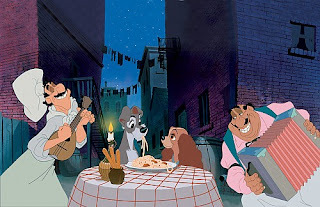 She should've received a Best Song Oscar nomination for "Bella Notte." Or she should've received a Best Song Oscar nomination for her other tune, "He's A Tramp." 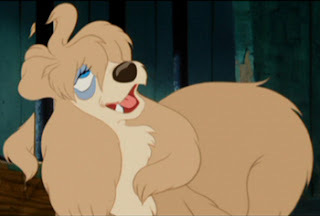 Peggy sang the voice of "Peg," the sultry ex-showgirl kind of dog who delivers this jazzy showstopper of a number. 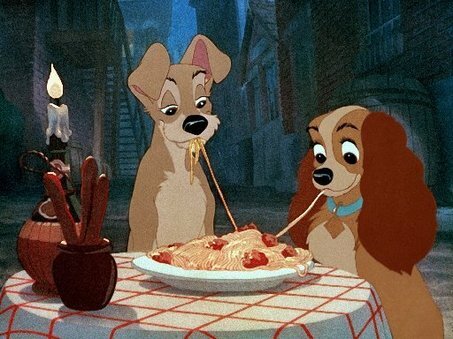 It's another top scene from Lady and The Tramp. Both those original songs still hold up. 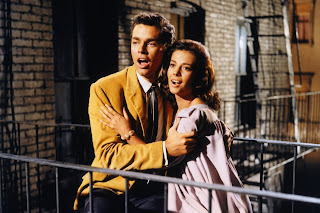 What got the Oscar for Best Song of 1955? The over-baked and schmaltzy "Love Is a Many-Splendored Thing" from the movie of the same name. ....and there's a holiday song. The story starts at Christmastime. Lady and The Tramp opens with a lovely Christmas composition by Peggy Lee and Sonny Burke called "Peace on Earth." It's done in a choral arrangement right before we meet little Lady. 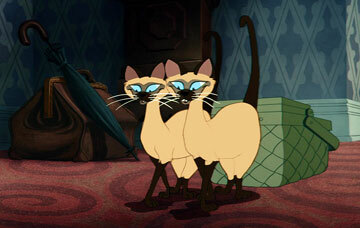 Peggy also did the voices of the Siamese cats and the "Darling," Lady's owner. Saturday, I was just in the mood from some vintage Disney entertainment. I wanted to see one of the golden oldies. I wanted to see that rich, elegant Disney animation -- the kind we adored as kids. Those vibrant colors, that wit, those expressive and memorable cartoon characters. The kind Disney did so well before The Lion King. That's a fine piece of work, don't get me wrong. But, starting with The Lion King, flatulence gags became a standard in Disney fare. I didn't want animated characters breaking wind. I wanted them to have charm. I wanted something romantic and funny. I got all that with Lady and The Tramp. And I got more. I knew that Peggy Lee composed the songs but I'd forgotten the sweetness of her lullaby for the baby and, after all these years, I'd never really paid attention to the Christmas song at the beginning of the story. That one needs to be re-appreciated. 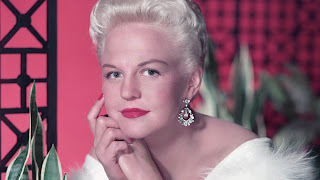 My generation knew Peggy Lee from lots of TV appearances and hit recordings of "I'm a Woman," "Fever," and "Is There All There Is?" There was so much more to Peggy Lee than just being a singer. Rent Disney's Lady and The Tramp and listen to the songs she wrote. You'll fall in love with it all over again -- as I did last weekend. She should've also been nominated in the Best Song of 1955 Oscar category. Seriously.